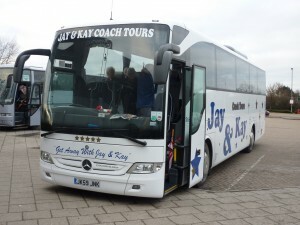 Once again Jay & Kay Coach Tours were again entered into the Coach Tourism Awards. We are very proud to announce that after our success in 2010 with Phil winning the Coach Driver of the Year Award, Jay & Kay Coach Tours were finalists in 2 categories, Coach Operator of the Year 1 – 10 Vehicles, and our shop manageress, Lisa, making the final shortlist in the prestigious Professional of the Year, a great achievement richly deserved. Karl and Jackie would like to thank all our shop staff and drivers for the superb ability and dedication they show in helping us become the company we are today.